“TC105X”18inch, the dedicated size for “CIVIC FK-8 Type-R”will be released in July. “4WD・SUV” Wheel “WEDS ADVENTURE” Series, equipped Good Design, Function and Safety. Official Sales Starts for “4WD・SUV” Users in the World! “MUD VANCE02” MADE IN JAPAN, Weds recommends its high quality and reliability with confidence! Contact your nearest authorized dealer! 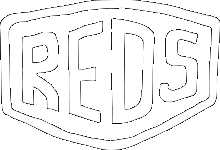 Now "J&REDS LOGISTICS" in Korea became weds authorized Distributor!! Now "Import Monster" in Australia became weds authorized Distributor!! Now "YMSC corportion" in Korea became weds authorized Distributor!! "N SPORTS CO.,LTD." has joined the weds dealer in Thailand! Now "Hanshin-Imports Sàrl (Ltd Liab. Co)" in Switzerland became weds authorized dealer!! Please welcome our newest authorized dealer "Top Performance" for customers in Middle East Asia and Africa!! It's great honor to announce that "Shanghai Wheel Pros co., ltd" has become weds exclusive distributor in China!! Congrats to Team GRR Racing / SCION USA FR-S Pilot by Michele Abbate(2015 Champion) using TC-105N for their first win of the season! PV of one-make race in Thailand "JAZZ SUPER CUP" officially using WedsSport TC105N has just released!! One-make-race in Thailand “JAZZ SUPER CUP” introduces “WedsSport TC105N”as official wheel! !